Silicon Valley is under scrutiny. Between sexual harassment scandals and the weaponization of social media – Russian Facebook ads targeting the election, hate speech incubated online, coming offline – the tech industry is reaching a breaking point. And the pressure is exposing the fault lines. The tech industry promised to code solutions to the world’s problems. But it can’t seem to fix one of its own: rampant sexual harassment in the workplace. Most recently, a lawsuit against virtual reality startup UploadVR left the community divided. Now the women are speaking out — and so are the men. Undercover Conservatives: The new counterculture, conservatives in Silicon Valley? In an industry known for its liberal tendencies, conservative tech workers say they’re victims of a witch hunt. Laurie Segall speaks with the undercover conservatives of Silicon Valley — who say they need to remain hidden for fear of losing their jobs. As they’ve grown in power, tech companies are now grappling with more nuanced questions about what to allow on their platforms. We sit down with a few who grapple with where to draw the line between the free flow of ideas and hate speech. Alt-Tech: Where to go when thrown off YouTube? As power is concentrated in the hands of a few major tech companies, new platforms are popping up to challenge their dominance — and creating communities that cater to people with fringe views. It’s a term made famous by ‘The Matrix,’ but a decade after the movie’s release, ‘Red Pill’ has been co-opted by internet communities who think everything they’ve been told about society – gender, race, politics – is a lie. Laurie Segall takes you down the rabbit hole. 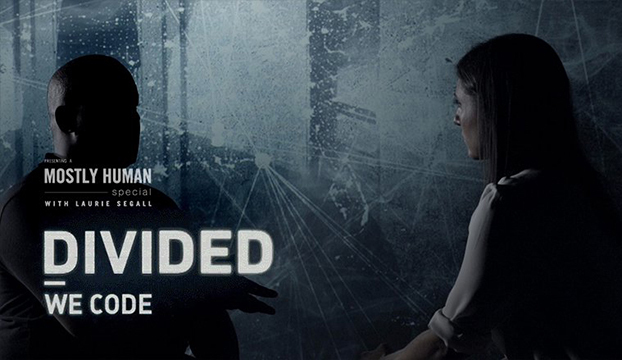 In addition to the TV airing, Divided We Code will also stream for subscribers via CNNgo (at CNN.com/go and via CNNgo apps for Apple TV, Roku, Amazon Fire, Samsung Smart TV and Android TV) and on the CNN mobile apps for iOS and Android.